IMF Rewarding Antigua & Barbuda for Crime? The International Monetary Fund is about to give a US$124 million loan to the Government of Antigua – and victims of SIR Allen Stanford are calling upon the IMF to stop aiding the government that was his criminal conspirator. Barbados Free Press is in total sympathy with Stanford’s victims, but we fear that “de fix is in”. The IMF does what it wants to do and it’s not going to allow a few thousand victims of a criminal scheme to upset the house of cards known as the precarious international economy. Now let’s compare the Stanford/Antigua losses with the CLICO fraud! When compared to the CL Financial – CLICO scandal, Sir Allen Stanford looks like a kid who pocketed a sweet without paying. C.L. Financial’s assets vanished into thin air – $100.7 billion down to $23.9 billion in just 12 months! There were phony shell companies, executives who took bribes to have the company purchase land in Florida for more than its real value and on and on and on. The CL Financial – CLICO scandal is huge and the people of Barbados deserve better from their news media than they have been getting. Until the Barbados news media decides that they serve the public interest, Barbados citizens will continue to be kept in the dark about how much of their money went missing, where it went and who profited from their losses. What did Robert Hoffman know about Sir Allen Stanford’s crimes, and when did he know it? Here is a book I’d love to read – because I want to know if author Robert Hoffman comes clean about how he personally started up Sir Allen’s Antigua Sun newspaper that was used to bait the trap for the suckers who trusted Stanford with their life savings. I’d also love to have an archive of the Antigua Sun sitting beside me while I read this book to see what Hoffman was publishing at the time. I stand to be corrected by the author, but somehow I don’t think I’d find any investigative journalism at the Antigua Sun exposing Stanford for the crook he was. Or, perhaps I should say “exposing Stanford for the crook that Hoffman knew he was at the time” ??? That statement seems to imply that Hoffman knew at the time that he was working for Stanford that the operations were not “legitimate”. Yes, I will read Sir Allen & Me if for no other reason than to remind myself that despite all the high talk by journalists of “duty to the public interest” that the almighty dollar usually comes first – especially in small societies where the government in power controls the news through advertising revenues that are dispensed like little doggie treats to obedient media lapdogs. And, as the Nation News discovered, a change of master means no treats for you! Southern Cross Publications says they will send us a couple of review copies if we just provide our address. That’s tempting, but we’ll have to say “no thanks”. I will, however, purchase the book myself as I am anxious to read how the Antigua Sun assisted Sir Allen in luring those suckers in. Here is the media release about Robert Hoffman’s new book as sent to us by the publisher. Texas billionaire and accused Ponzi scammer R. Allen Stanford is the focus of a new book written by a former Stanford executive. 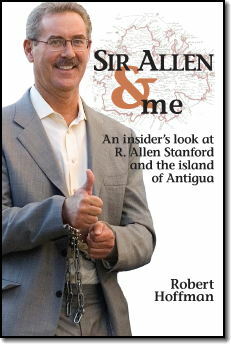 Sir Allen & Me: An Insider’s Look at R. Allen Stanford and the Island of Antigua peers into the private and business life of the flamboyant financier, whom the federal government claims operated a “massive” $8-billion confidence game from his bank in the Caribbean nation of Antigua and Barbuda. Author and journalist Robert Hoffman was hired by Stanford in the mid-1990s to start up the Antigua Sun newspaper. For two years, Hoffman was privy to the billionaire’s political maneuvering and manipulations, including Stanford’s efforts to rewrite the island’s banking laws to favor the Texas money man and to keep prying eyes from the highly questionable running of Stanford International Bank based in Antigua. Hoffman also tells about Stanford’s forays into the world of cricket, his disastrous stab at establishing a regional airline, his lavish lifestyle and his shameful treatment of many of his loyal employees. In the book, Hoffman quotes from Stanford describing clearly what his methods were to lure investors into believing his Antigua operations were legitimate by creating what Hoffman calls Stanford’s “financial Potemkin Village” on the island. The 200-page paperback is currently available on http://www.amazon.com (keyword: R. Allen Stanford) and will soon be in bookstores throughout the United States. It can also be purchased at http://www.atlasbooks.com, which is the publisher’s chief distributor to outlets and Internet-sales sites. Retailers can call 800-BookLog to order. Retail price is $14.95. UPDATE: Just a note that Allen Stanford has been under suspicion for money-laundering drug money for 20 years or so – according to The Independent article The Stanford Files: FBI’s first probe was 20 years ago. On Wednesday, February 18, 2009, at 11:50pm Barbados time, Barbados Free Press was the first Bajan news outlet to report that Sir Allen Stanford was being investigated by US Authorities not only for fraud, but also for money-laundering for a Mexican drug cartel. We also reported that one of his aircraft had been seized with drug money aboard. Our story Stanford Trying To Flee USA! US Federal Authorities: Allen Stanford Money-Laundering For Drug Cartels was sourced from an ABC Network News article (link here). Here we are four days later and now Albert Brandford at the Nation News is “breaking” the same story and using the same source that we used. How often do Bajan “professional” journalists steal story ideas and sources from the blogs? Every day, my friends. Every day. Were happy to help, but you really should tell the folks where you first heard about the story you’re now breaking… OK? It is all about ethics and integrity. 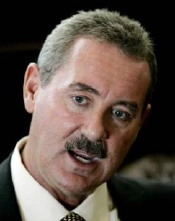 How Many “Political Donations” Did Sir R. Allen Stanford Give To Barbados Politicians? Drug Link In Stanford Money Saga? Cocaine Bosses Were Stanford Victims Too? SIR Allen Stanford won’t be attending many public cricket matches for the next little while because news reports are coming in that the once-billionaire high-flying “banker” who practically owned the country of Antigua is on the run from police. Stanford Spent Millions Lobbying Politicians! American politicians are required to report donations and gifts, but the same is not the case with Barbadian politicians and other government officials. How much did Stanford donate to Prime Minister David Thompson’s campaign? 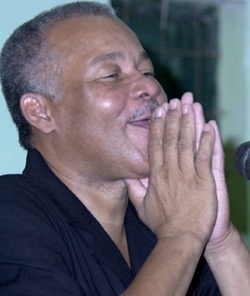 How much to the Barbados Labour Party? The scandal of no oversight into offshore banking does not begin or end with the present case involving Sir Allen Stanford: the wild west Caribbean atmosphere with few rules and even less oversight is directly attributable to the our politicians throughout the region who resist any efforts for Integrity, Transparency and Accountability Legislation (ITAL). Like the current liar in chief, Prime Minister David Thompson, they all have promised ITAL and then forget all about it when elected. Prime Minister Thompson: How much money did you or your party receive from Sir Allen Stanford or his companies in the last two years? Stanford Banks Were Favourites With Colombians! News stories are also reporting that many of Sir Allen’s customers are from Colombia and other South and Central American countries – and while they don’t say that the customers are rough looking men who always travel with eight or ten rougher looking bodyguards, you can bet that Sir Allen had a few such clients. Or maybe more than a few. Current and past allegations include drug money-laundering by Stanford’s companies. Nope, upon consideration we reflect that perhaps Sir Allen’s main concern is not being arrested or even going to jail. His concern is that the jail is filled with friends and employees of some of his rougher clients. All we can say about this story about another crooked financial wizard is… Who’s next?